Healthcare systems across Europe are facing similar challenges such as rising costs, increasing multi-morbidity, changing demographics and growing resource gaps (i.e. urban vs. rural, digital divide). Technology-enabled solutions are emerging, offering new ways of receiving and providing healthcare services: stakeholders within national and regional healthcare ecosystems are progressively adjusting the way they interact with each other as well as with patients and the public. Such adjustments come together with issues related to health data management, transparency, patients’ trust, telemedicine deployment or up/re-skilling healthcare professionals. 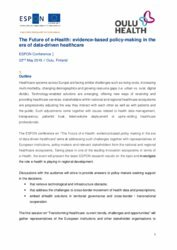 The ESPON conference on “The Future of e-Health: evidence-based policy making in the era of data-driven healthcare” aims at addressing such challenges together with representatives of European institutions, policy-makers and relevant stakeholders from the national and regional healthcare ecosystems. Taking place in one of the leading innovation ecosystems in terms of e-Health, the event will present the latest ESPON research results on the topic and investigate the role e-health is playing in regional development. 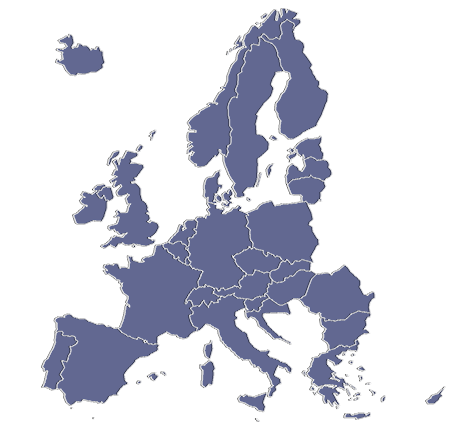 embed eHealth solutions in territorial governance and cross-border / transnational cooperation. The first session on “Transforming Healthcare: current trends, challenges and opportunities” will gather representatives of the European institutions and other stakeholder organisations to discuss what are the key challenges related to the digital transformation of healthcare value chains and ecosystems at the European level. 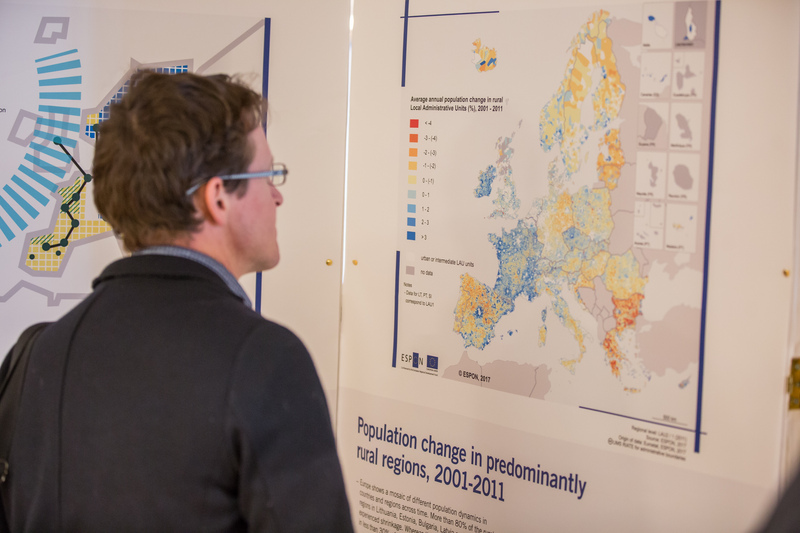 What are the impacts for territorial development? Following the presentation of the latest ESPON research results on “e-health – Future Digital Health in the EU”, the second session aims at discussing transnational cooperation basing the exchanges on ESPON evidence. What are the good practices in delivering digital healthcare solutions that can be transferred to other EU territories for policy development or for helping to design future digital and data-driven health solutions? How to promote and support future digital health developments, foster new technologies and cross-border movement of health services and data in EU in terms of legislation and policies? The ESPON conference is taking place in Oulu, a city which boasts a well-earned reputation of being a forerunner in digital health technologies. Oulu is located in Finland, one of the three strongest economies in the world in the field of health technology. With the third session, participants will experience a unique occasion to learn about the OuluHealth ecosystem from those who are part of the community are: voices from the field will answer questions on the future of data-driven healthcare promoted by co-creative innovation platforms and ecosystems? Side events on the 21st of May include a site visit to the Oulu University Test-beds, where health products and services are tested in collaboration between companies, research institutes and healthcare professionals, as well as a dinner offered by the Municipality of Oulu, during which local companies will showcase the latest medical technologies.